Join Jason Hartman as he interviews Shannon Cherry, The Power Publicist, about the best practices to get companies to sponsor small business owners, coaches, consultants, and non-profit leaders who want to reach a certain target demographic. Shannon founded the Sponsorship Made Simple Academy and has been helping organizations secure hundreds of thousands of dollars in sponsorships for more than 15 years. As the Power Publicist, Shannon Cherry, APR, MA, helps business owners and entrepreneurs attract more customers through publicity and marketing. She is the founder and president of Cherry Communications and its subsidiaries, Be Heard Solutions and Penny Pinching Publicity. 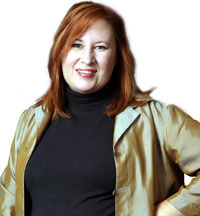 A former TV and newspaper journalist, Shannon has developed hundreds of innovative public relations strategies. Her clients have appeared on the pages of USA Today, the New York Times, Money Magazine, Associated Press, and Parenting and have been featured on the Today Show, CNN, The History Channel, Good Morning America, and Oprah. An award-winning publicist and published author of two books, Shannon was named one of the top 60 business bloggers in the world & one of the top 30 PR bloggers. Shannon publishes the popular and highly-recommended e-zine, Be Heard!, delivered to more than 6500 subscribers each month.